I have received this complimentary sample from Influenster and all of my opinions are mine!! 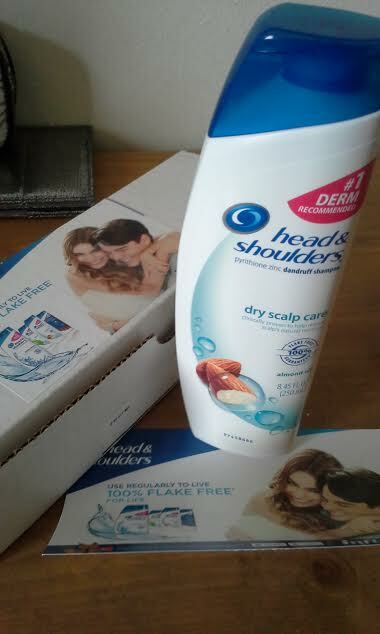 It has been years since I have used Head & Shoulders Shampoo for my severe dandruff but I decided to give them a try for my dry scalp! 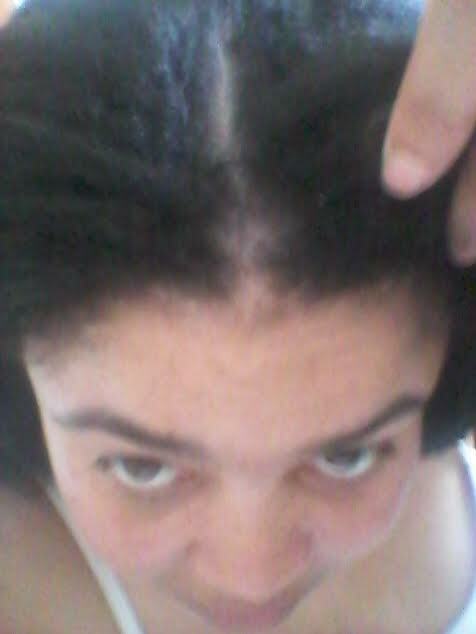 I have relaxed/new growth and my dandruff spots are concentrated towards the front and the back of my scalp!! 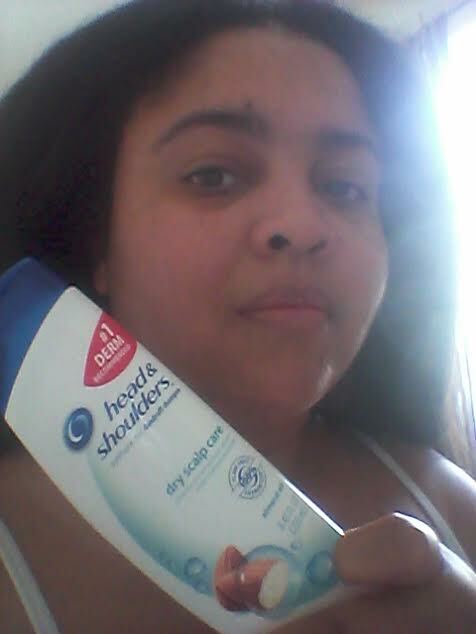 So here is my hair review using Head & Shoulders Dry Scalp Care Shampoo!! This pyrithione zine shampoo contains Almond Oil which listed third item last towards the Ingredients paragraph but I do love that scent is not too strong or medicine!! 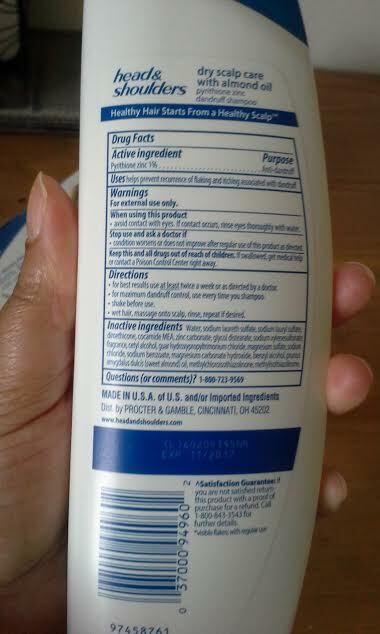 It cleanse my hair scalp with moderate suds in the shower and my scalp and strands came out clean!! But I really wish this product had at least one sulfate product instead of two (sodium laureth sulfate and sodium lauryl sulfate) while most shampoos brand offer "Sulfate-Free" so its doesn't strip the scalp and cause dryness!! I did two shampoo and allow to sit in my hair for a few minutes before final rinse!! I do have mix feelings about this shampoo brand which is great in some ways and not so great in other aspects! Above are my after shower washed hair in which I did not applied a rinse out conditioner to give an honest opnion about this shampoo! My hair feel conditioned which says on the bottle that it is "clinically proven to help restore scalp's natural moisture" but I used a leave-in/heat protection before I blow dry!! I did see a few flakes towards the front scalp near my forehead but I will give this shampoo several trys during this month to see how it works on a regular basis! 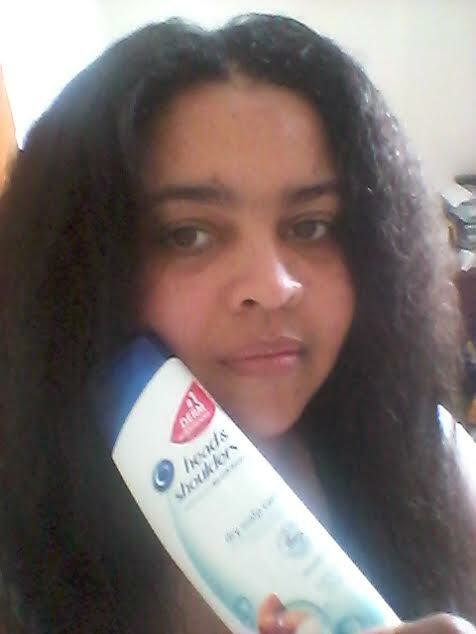 I will continue to test out Head & Shoulders Dry Scalp Care Shampoo to help managed my severe dandruff to see after month what the results are which is important for me as a woman with dry scalp issues and has relaxed hair!! Thank you, Allison! I am giving this a try for next several wks but my dandruff is the stubborn type hence for the last several yrs! Hence I got a prescription shampoo/drops for my scalp!! But I giving this shampoo a honest try before going back to my treatment!